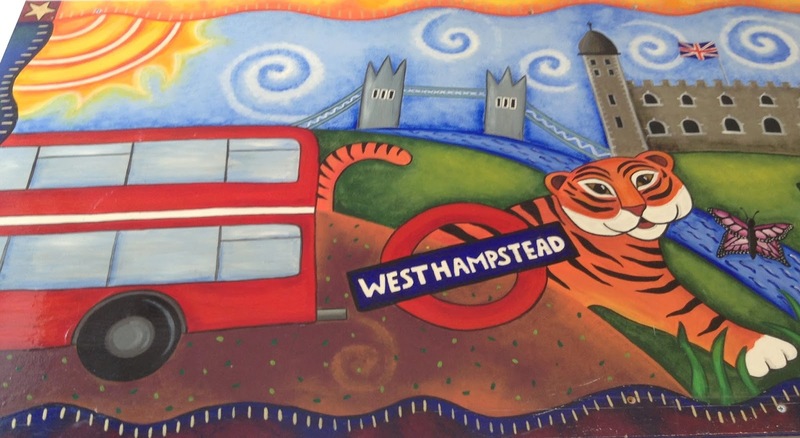 I'd like to say a big thank you to everyone at Beckford Primary School in West Hampstead for the fantastic welcome they gave me when I visited them last week! 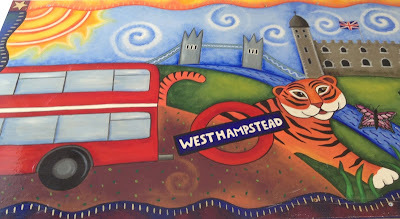 I first visited Beckford back in 2013, and it was a pleasure to return and be greeted by this inspiring tiger again. (If you want to know why I'm inspired by tigers, see this blog post!) Year 4 at Beckford are currently reading Varjak Paw, and Year 5 read it last year. Many of them had also read The Outlaw Varjak Paw, but only a few had read Phoenix so far, so I showed them Dave McKean's fantastic Phoenix book trailer. So many people wanted to read Phoenix after watching the trailer, the local bookseller West End Lane Books completely sold out of copies! They said they would return with more copies the next day, and I signed book plates for everyone who said they wanted one – but if there's anyone at Beckford who wanted a signed book plate for their copy of Phoenix and didn't get one, just let me know and I'll send it over. It was really inspiring for me to see so much enthusiasm for books and reading, and to be asked so many brilliant questions! If anyone from Beckford has any more questions, or would like to say anything about the visit or my books, just leave me a comment below. And if you'd like to see more pictures from the visit, there are lots more on this page on the school's website!